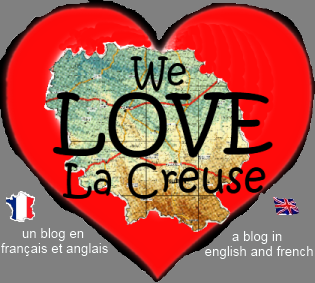 23500 raisons pourquoi we love La Creuse: Schrödinger's cat goes fishing in the back of our van. Schrödinger's cat goes fishing in the back of our van. Due to extreme tiredness, and a reluctance to deal with the fish situation, we decided to take care of the cats (not in a gangster way) and leave the fish to their own devices. Until we opened the rear van doors, we reasoned, that fish existed in two states simultaneously: they were both alive and healthy and floating lifelessly at the top of the tank, deprived of oxygen and traumatised by the constant motion of the water. Continuing the head in the sand approach we drank a bottle of champagne to celebrate, revelled in the fact that half our house now had electricity thanks to our wonderful electrician Laurent, and watched the cats as they sniffed their way around the bedroom. The next day, we were awoken by Laurent as he let himself in. The cats (and Mrs H) retreated into their corners of safety, and I got dressed to greet him and thank him for what he had achieved so far. After a quick (and rather un-French) of tea and toast I decided I could no put things off no longer and opened the back of the van. Carefully I removed a couple of cushions and a duvet which had been holding everything in place. They were slightly damp – evidence of the trauma the fish had been through. I peered into the tank. To be greeted by two very much alive fish.